One of China's largest property developers, China Vanke Co, on Tuesday refuted media reports that the entrance of institutional landlords has led to current soaring rental prices. "It is not until the past two years that large companies started to emerge in the traditional leasing market, but the penetration rate is less than 5 percent in China, which is too small to have a significant influence," Vanke President Zhu Jiusheng said at a media conference in Shenzhen. The comment came as many domestic media outlets last week reported large real estate brands are widely acquiring rental home resources, which substantially pushed up leasing prices. According to a report by china.com.cn, rents in 13 major cities have increased by over 20 percent in the past year, especially in first-tier cities such as Beijing, Shanghai, Guangzhou and Shenzhen. Many leading property developers recently have regarded the rental sector as a core business and a key driver in the future. Taking Vanke as an example, it has acquired more than 160,000 rooms for rent in 30 domestic cities and a quarter of them were on the market by the end of June. 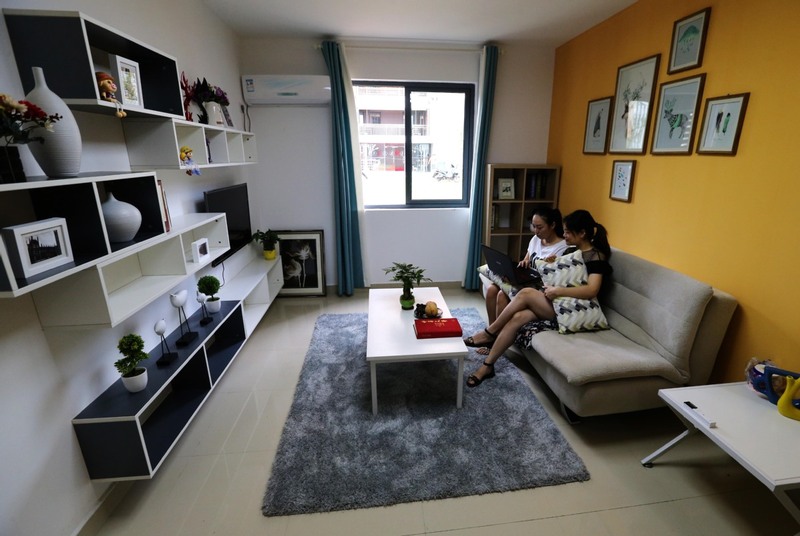 Zhu said the company included rental housing as one of its core businesses in 2018, saying the source of its apartments was mostly from building projects on land which is restricted to rental-only properties by the government, other firms' idle resources, and personal properties. Meanwhile, another top developer Country Garden Holdings announced on Tuesday in its interim results that it has 24,000 long-term rental apartments in total, 21,000 of which are still under construction, and the aim is to launch 1 million units in three years. It is reported that some apartment rental platform operators offer 20 to 40 percent higher than normal market prices to house owners in order to grab more rooms and then level up the re-rental price accordingly. However, Pan Shiyi, chairman of SOHO China Co Ltd, another leading property developer in China, on Sunday noted it would still be a loss to invest in the long-term leasing sector even if the current rental price doubles. The rate of return in China's rental market has been low in the long term. In the second quarter of 2018, it is just 2.6 percent in China's 50 biggest cities, a year-on-year decrease of 6 percent, according to E-House China R&D Institute. Yan Yuejin, research director at the institute, said it is true that the percentage of rental apartment resources on large platforms is relatively low, compared to those held by individuals, but it is what the market focuses on and these brands should play a leading role. He predicted their penetration rate will rise to 20 percent in 2021. Liu Weimin, a researcher at Development Research Center of the State Council, said in a CCTV interview that there were multiple factors behind the soaring rents. "The critical reason is a supply shortage, especially a lack of high-quality resources," Liu said. "In addition, the growing number of college graduates also propped up the price in major cities," he added.